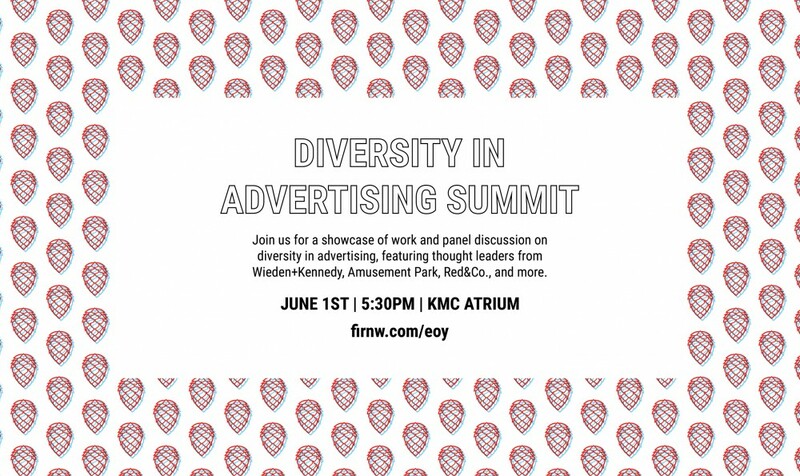 Join Fir NW for an interactive exhibit and panel discussion on diversity in advertising featuring panelists from Wieden+Kennedy, Amusement Park, Red&Co., and more. Presented by FIR NW, the student run ad agency at Portland State. Visit firnw.com/eoy for details. FB registration HERE!